Birthday Party Ideas Fit for a Superhero! and their parents. Party With the Warriors was started to help fund the Foundation. I think you’ll enjoy learning about this special little guy and the organization who recently celebrated him. Get inspired with this thrilling Superhero Birthday Party. 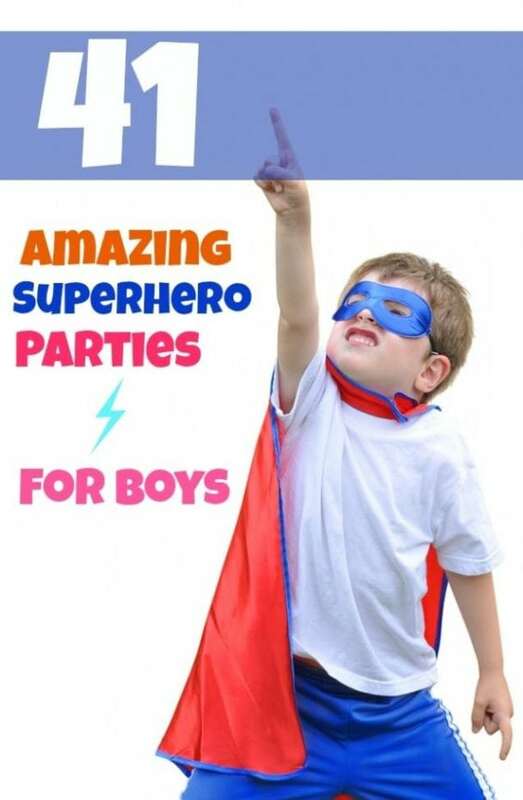 Any little boy would love this action packed Superhero Birthday Party. James was born via an emergency C-section due to lack of movement and doctor concern that the baby was in distress. James did not cry when he was born; he had a two-vessel cord, low muscle tone and his little arms were shaking. He was sent to NICU for further exams. What was discovered? James had suffered a stroke in utero. Fast forward through many hours of soul-searching, doctor appointments, hospital visits and therapies. Currently James cannot hold his head up, sit, stand, walk, or eat by mouth; but he is loved! He must be continuously hooked to a monitor that measures oxygen levels and heart rate. His brain is consistently seizing and because of that, he needs frequent suctioning. James must be attended 24/page/7. If you’re around James long enough youll learn what it means to be special because of who you are, not because of what you can do. You can appreciate parents who love their child, just like any good parent. All parents want to celebrate their children and when you catch a glimmer of a boy who has gone through so much, you know a superhero party is just the theme to celebrate him. The superhero dessert table with a polka-dotted, vintage comic book vibe background boasted a cityscape in red, white and blue with yellow accents. The coordinating banner over the table bestowed birthday greetings over an array of tempting desserts. Even though James couldn’t taste the treats, his eyes devoured the colorful decorations. Super “J” was celebrated with a handsome, double tiered birthday cake covered in fun pows, zaps and superhero logos by Icing Smiles. James enjoyed everyone singing Happy Birthday to him; he even started to cry and that was a good response for him. Haleybelles Cupcakes Kaboom Cupcakes in polka-dotted wrappers were topped with sprinkles, the Superman “S” and some even wore edible capes! Poppy Event Design had party color-coordinated sprinkles on their cakepops. Look closely at the fondant covered Oreos by Kima’s Konfections for cute themed toppers. Several of the most popular superheroes were represented on The Cookie Jar’s Bang Splat Sugar Cookies. There were also Candy Apple Sweets and Pretzels by Pizzazzed Plus. Although the dessert table certainly caught guests’ attention, attendees were first satisfied with ham, turkey and cheese sliders, potato salad and a fruit tray. The guest table was enhanced with a namesake wooden centerpiece by Sweetly Chic Events and Design and also included multi-colored candies, Kryptonite Jello and Super Power Juice. Water bottles got in on the action with cityscape wraps. The birthday boy was dressed in a custom T-shirt and even his motorized chair was party ready in a star studded cape. A number of his guests also wore superhero styled T’s. Kids enjoyed posing with superhero mask props but the face painting is what captured their attention. After the open house celebration, guests got to take home t-shirts and customized lollipops by Lollipics Share Happy. Because of the way James has touched so many hearts, Susan has chosen him to be the Epilepsy Warriors Foundation Face of Epilepsy for the 2014-2015 year. To learn more about the Foundation, go to www.epilepsywarriors.org Become a fan of James on Facebook. And maybe, the next time you see a child with special needs, give him, and his parents, a welcomed smile that acknowledges everyone is special. Get ready for your own superhero birthday party with these supplies, sourced by the Spaceships and Laser Beams team. Find more superhero birthday party inspiration with these ideas. Plus, don’t miss 41 Superhero Birthday Party Ideas!